World famous for dry fly fishing the “gulpers” will test you casting accuracy and finesse as you try to land these big Rainbows in Hebgen Lake. These waters are located just outside your cabin doors. World famous as a dry fly fishery, Hebgen Lake just happens to be the home of the Firehole Ranch. It is famous for the monumental earthquake that occurred nearby in August of 1959, forming Quake Lake, located just downstream. Perched upon its western shore, the Firehole Ranch overlooks the character of water that has made Hebgen Lake a world class fishery; calm placid surface, extensive weed-beds, and “gulping” trout. Known as “Gulpers” for the greedy sound these large Rainbow and Brown trout make slurping copious amounts of mayflies off the glassy surface of Hebgen Lake. 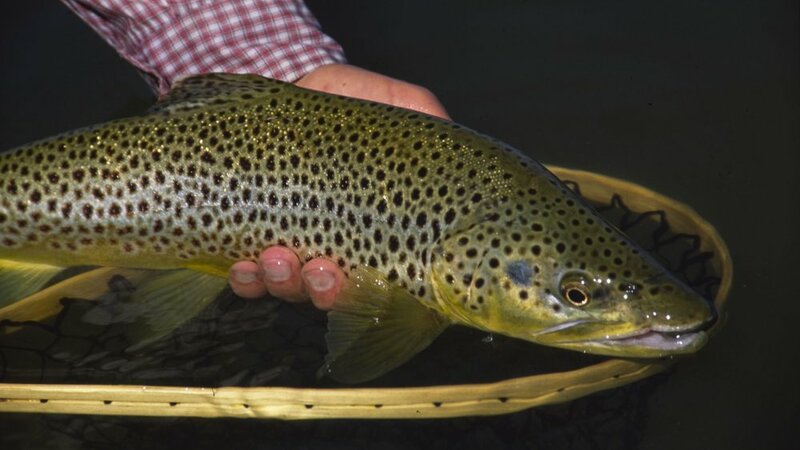 Although Hebgen is infamous as a dry fly fishery, do not overlook the many opportunities to go sub-surface for those slightly larger fish that cannot quite belly up to the surface for free food. There are two places to capitalize on Gulper fishing on the Lake; along the long and narrow Madison Arm, as well as the western shore. Both locations have shallow flats that receive adequate amounts of sunshine to facilitate the growth of thick weed-beds. The Callibaetis, Trico’s, Damsel Flies, Dragonflies, Midges, and Lake Caddis that populate these weed-beds grow in mind numbing numbers and provide a constant source of food for greedy trout. “Gulper” fishing is as challenging as it is addicting, and many anglers travel from all corners of the globe to focus solely for the opportunity to tangle with these lake leviathans. Hebgen Lake’s gulper activity is primarily a morning affair that occurs at its peak in July and August. Until the wind blows, the trout in Hebgen will be locked into the surface, slurping as many mayflies as they can. When the wind does come up, an afternoon wade trip to the Madison or Gallatin is only 15-minutes way and can make for a great day that will leave lasting memories.